The first cars were conceived as a way of getting people from A to B more quickly, under their own control, than had been possible with earlier forms of transport, such as walking, the bicycle or with horses. It was not long before those early pioneers started to explore what else would be possible. Greater speed and the advent of motor sport was one early development, unsurprisingly, and so was greater versatility. If the horseless carriage was going to take over from horse-drawn, then it would need to be able to carry not just one person or two, but far more than that, and the items that they wanted to take with them. And so, by the 1920s, there were all manner of vehicles being produced that were labelled “station wagon” or “estate car “, with the origins of these labels deriving from their expected use. The Station Wagon was the vehicle that could collect a number of people and their luggage and take them from the railway station to their hotel whilst the Estate was for driving around the Estate, with the capacity of carrying things, like picnic equipment, and guns and other necessaries of the landed country set. Many of these early vehicles were conversions of regular passenger carrying cars, sometimes undertaken by the original manufacturer, but often not. By the 1950s, with far more people owning cars, and increasing number doing so for work and commercial purposes, the Estate version had become quite useful for those whose job entailed taking samples of their products around (the commercial traveller, or “rep”). Such cars were often quite basic, but they certainly served a purpose, and the broader potential appeal did not go unnoticed by both the paying public and the manufacturers, so during the 1960s and 1970s, increasing numbers of Estate versions of popular cars were produced, generally trimmed and equipped to the same standard as the saloons on which they were based. And sales increased accordingly. The move from cars with a separate boot to hatchback models, which promised the best of both worlds – the ability to increase cargo carrying capacity when needed, but without the extra bulk, and slightly utilitarian look of many an Estate model – looked as if the genre could be under threat, but this did not prove to be the case. With leading ever more nomadic and active lifestyles, a car with the versatility to carry people and lots of “stuff” was just what many were looking for. And when manufacturers started to offer these useful cars with the highest trim levels and the most potent engines of their range, which many did, then sales of the Estate version often started to outstrip those of the Saloon or Hatch. Even the advent of more versatile-still configurations, such as the PeopleCarrier/MPV and the SUV/Crossover have not removed the market’s enthusiasm for the Estate bodystyle. There are exceptions, and they come at the extremes of the market. Small Estate models have never proved popular. BMC gave us the Mini Traveller and Countryman models, and these sold in relatively small numbers, and had no truly direct rivals during their long model life. The A and B segments of the market were among the first to settle on the Hatchback, and there have only ever been a handful of Estate versions of cars in this class available at any one time. In recent years, Peugeot gave us the 206 SW and followed it up with the 207 SW, but the replacement for that car, the 2008, is a Crossover. Renault have an Estate version of the Clio. They sold the last generation in the UK, but sufficiently few bought it that although there is still a Clio Estate available, you would have to go to Continental Europe to buy one. So that leaves the VW Group. In recent years, there have been offerings from VW (the Polo), Skoda (the Fabia) and SEAT. The first time that the Barcelona-based brand offered a car of this type, it bore Cordoba badges and was very similar to the contemporary VW Polo estate. Both sold in relatively small numbers so were not directly replaced when new versions of the Polo and Cordoba were launched, but some years and a couple of generations of Ibiza later, SEAT decided to have another go, and following the presentation of the IBZ Concept car at the 2009 Frankfurt Show, launched the Ibiza ST a few months later at the 2010 Geneva Show. Just as the hatch models on which it was based had been praised for their looks (among other merits), so this new addition to the range won plenty of plaudits for its appearance. But sales have remained a very small percentage of total Ibiza models that find new buyers, so when Hertz presented an almost brand new Ibiza ST to me at Heathrow airport, I was keen to sample it, to see if I could figure out why. This is in fact the third example of the fourth generation Ibiza that I have sampled, so there was plenty that was familiar. As I discovered before, though, one attribute can have a very significant impact on your overall impression of the car, especially, if it is the engine. 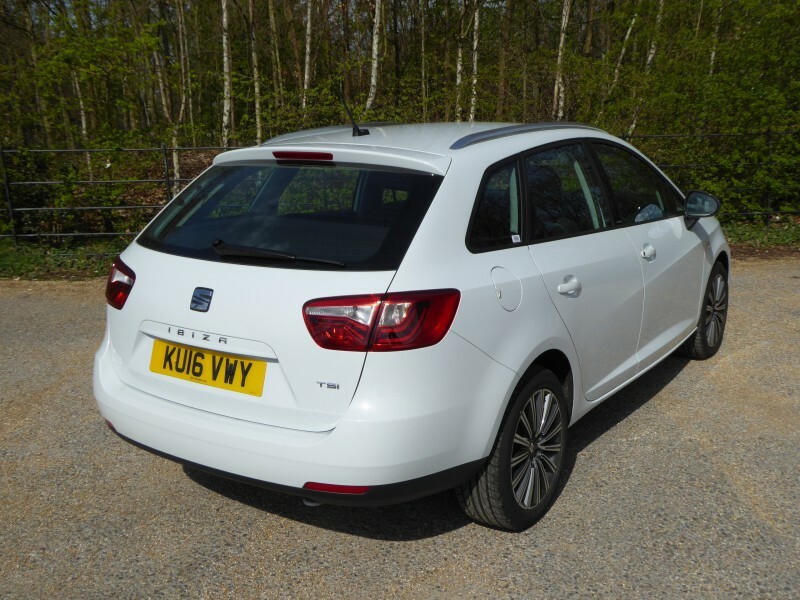 The first of this style of Ibiza that I drove was a 1.4 TDi Ecomotive car, which was optimised for efficiency and saddled with economy gearing for its 79 bhp 1.4 diesel engine which made the driving experience particularly awful. I handed it back concluding that there was a good car waiting to be discovered, but it was not that particular version. A couple of years later, I got a 105 bhp 1.6 TDi version of the car in Spain, and it proved far more agreeable. Indeed, my conclusions were that this was not just a strong all-rounder but that it got closer to the much-praised Fiesta than many of the motoring press would have you believe. Although the basic design of the Ibiza has changed little since then, with just a few visual tweaks that arrived in 2015 as part of a mid-cycle facelift, there have been a lot of different engines and gearboxes offered during the life of the car, with the latest VW Group units, both in petrol and diesel form being used as they become available. The test car was a petrol model, with the 1.2 litre 4 cylinder unit, which generates 90 bhp, coupled to a 5 speed manual gearbox. This engine proved eager and willing, and was undoubtedly the best of the three I have experienced in this bodystyle. You will have to use the gears quite a lot to get the best out of it, though. But that’s no particular hard ship. The gearchange itself was good, with a nice precise feel to it, and none of the reluctance to engage that used to characterise VW Group ‘boxes. The gate is narrow, so you can flick easily between the ratios. A sixth gear would have been nice for motorway cruising, but I did not feel its absence as much here as you do in some cars. It was road noise that was more evident than other sources on the journey home on the M4, but even this was not at such a level as to count against the car. Fuel economy seemed pretty good, with the Ibiza ST achieving a pleasing 46.5 mpg on the journey back from LHR to home. Whilst most of this was a steady speed on the motorway, there were some deviations in quest of photos, which reduced the average speed to 44 mph, so this sort of economy is probably indicative of what you could expect in mixed motoring. There were no surprises – good or bad – with the other driving dynamics, as there are no mechanical changes compared with the corresponding hatch models, though clearly there is extra weight from that longer body. There was a leather-wrapped wheel, the interface to a steering and handling set-up which is pretty good, but not quite at Fiesta levels. The steering has decent feel to it, and the weighting is well judged. The Ibiza holds the road well, has plenty of grip, but will eventually understeer when you get to the bends with some enthusiasm. There was a nice pliancy to the ride, which was firm, but not unduly so. The brakes were well up to par, and it was nice to find a conventional handbrake between the seats. With plenty of glass, this was an easy car to see out of and to position on the road, even without the benefit of any technology aids. Judging the rear was easy, and the car is small enough to feel pretty manoeuverable. The interior design has not changed much during the life of the fourth generation Ibiza, though it has received various equipment upgrades over the years and of course in 2008 when the car was launched, buyers expected a simple stereo system whereas expect something rather more sophisticated. The overall design is neat and unfussy, just as I like it. The materials are decent enough, though carefully selected so as not to tread on the proverbial toes of the posher and costlier brands in the VW Group, so you do get some harder plastics than you might find in a VW or an Audi, especially evident on the door casings. There is a 2 dials instrument pack, with large units for the rev counter and speedometer, both of which proved easy to read, presented in a cluster which also includes a digital display for the water temperature and fuel level, this last using a bar chart in a quadrant, with the bars extinguishing as the fuel is consumed. Minor controls come from the VW Group parts bin, as you would probably expect, which means a pair of column stalks for indicators and wipers, with lights operated by a rotary dial on the dash to the right of the leather-wrapped steering wheel. This as buttons on it for audio repeaters and to cycle through the digital display in the instrument pack. The centre of the dash contains a neatly integrated colour touch screen, which turned out to be the same unit as I had experienced in the much costlier VW CC I had just been driving in California. Although there were buttons on the unit for navigation and traffic reports, these were not active the test car, meaning that the unit was largely delivering audio services, which it did well. It proved easy to use. Below it are three rotary dials for the air conditioning, and below this is a switch for the hazard warning lights and then, set back a bit, the 12v socket and USB connector. In this trim the seats of the Ibiza ST were a mixture of a cloth inner and a leather-like outer portion, which looked good, and a cut above what you usually find in cars of this class and price. Adjustment, as you might expect, was all manual, with a height adjuster proving useful, as was the telescoping capability of the steering wheel, so it was not hard to get (and stay) comfortable. Space for those in the back will, as you would expect from a car of this size, depend on how far back the front seats are set. Put them as I do, for my short legs, and there is a surprising amount of legroom, but set them well back and there is not that much space available. Headroom should not be a problem, and is better than in the hatch as the roof does not slope above the occupants and whilst you could squeeze three people across the width of the car, though they’d better not all be second row sized, though at least there is not much of a transmission tunnel to get in the way. The raison d’etre of the ST model, of course, is to provide more versatility for carrying luggage, and the extra 180mm of this car compared to the hatch is all at the back, behind the C pillar. So it should not disappoint. With the rear seats erect, there is a good- sized boot. It is a nice regular shape, though noticeably narrower between the wheel arches than behind them and the boot floor is only just lower than the bottom of the tailgate, making it relatively easy to get heavy loads in and out. More space can be created by folding the rear seats. The rear seat cushions – split 60/40, as are the backrests – cantilever forward and upwards, and then you drop the backrests into the space where the cushions had been, creating an almost flat load space, with the benefit of protection for the front seats from anything that might slide forwards. Ultimately, the capacity is limited by the fact that this is a relatively small car, but in terms of providing more room than in a hatch model, the ST hits the mark. Inside the cabin, there is a good glovebox, there are pockets on the doors, cup holders in the centre console, and those in the back get map pockets on the rear of the front seats as well as central cup holder in the end of the console unit. Over the years, there have been numerous different trim levels offered on the Ibiza. There have also been lots of different engines, with many appearing to the same in capacity, but undergoing an almost constant process of development to improve efficient and lower emissions. As of the 2015 facelift, SEAT arrived at four petrol engines and one diesel, the latter with three different outputs. A 1.0-litre three-cylinder non-turbo petrol with 74bhp kicks off the range, while the next engine is the 89bhp 1.2 TSI turbo, as fitted to the test car. A new 94bhp ‘EcoTSI’ 1.0-litre turbo petrol is only available in SE spec, while there’s also a more powerful 108 bhp 1.2 TSI and a range-topping 148bhp 1.4-litre, with this last only available in sporty FR spec. 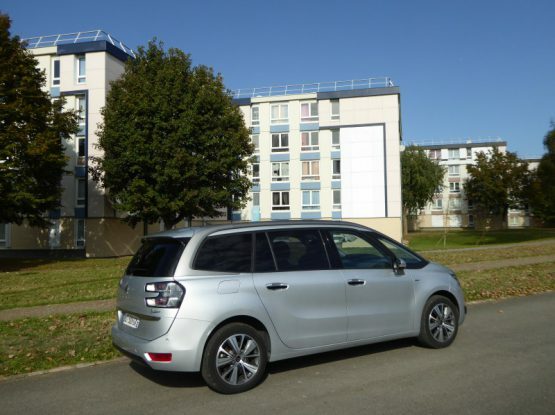 The familiar three cylinder 1.4 TDI diesel can be had in frugal 74bhp Ecomotive form, capable of 76.3mpg combined. Above that there are 89bhp and 104bhp versions with a bit more punch. Overall, this is as wide an engine range as you’ll find in most hatchbacks, although unlike the larger SEAT Leon ST, there’s no Cupra variant of the Ibiza ST. Four trim levels are available in the Ibiza ST: the S A/C, the SE, the Connect and the FR. 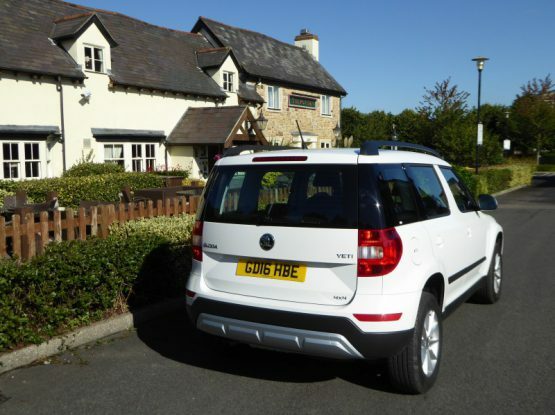 All models come with body coloured bumpers, an alarm, electric front windows, a height adjustable driver’s seat, a steering wheel with rake and reach adjustment, an audio unit with DAB radio, Bluetooth and remote controls on the steering wheel, manual air conditioning as well as safety features including side, driver and passenger air bags, Isofix child seat anchor points. SE models added alloy wheels, front fog lights, electric mirrors, a 5″ colour touch screen and LED daytime running lights. The Connect spec adds partial leather seat trim, an upgraded audio system with CD player, Sat Nav (according to the spec sheet, though it did not seem to be operational in the test car) and a Samsung phone. 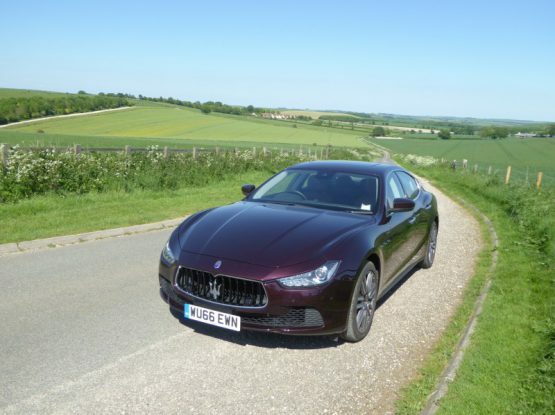 The top spec FR adds larger 16″ alloy wheels, sports suspension, sports seats, roof rails, heated mirrors and had a different cloth trim as well as cruise control. You can also specify the optional SEAT Colour Packs which add splashes of colour to the door mirrors, wheels, seats and even trim around the air vents and handbrake. The FR trim is the only one in which you can have the 148bhp 1.4 TSI petrol engine. So why has the Ibiza ST not sold? On the evidence of this test, it is certainly not because this is a bad car. Indeed, in my opinion it is very far from that. To my eyes, it looks good, even in the relatively lowly 90bhp guise, it goes well enough, is nicely finished and is quite roomy given the overall footprint. The estate body adds extra versatility, with no real penalty apart from the slightly higher purchase price and the fact that the extra weight will have a marginal extra cost at the fuel pump. But sales have been sufficiently disappointing that SEAT announced the model would be withdrawn from sale around the time that I had this test car, with no replacement on the horizon until the next generation of Ibiza appears, at which point there is likely to be a Crossover variant rather than a true Estate model. This news means that the only car of this type now on sale in the UK is the Skoda Fabia Estate. Meanwhile, if you can find an Ibiza ST, then (provided it is not an Ecomotive, though these may be better than they were! ), you are likely to be experiencing a very competent and somewhat underrated car.